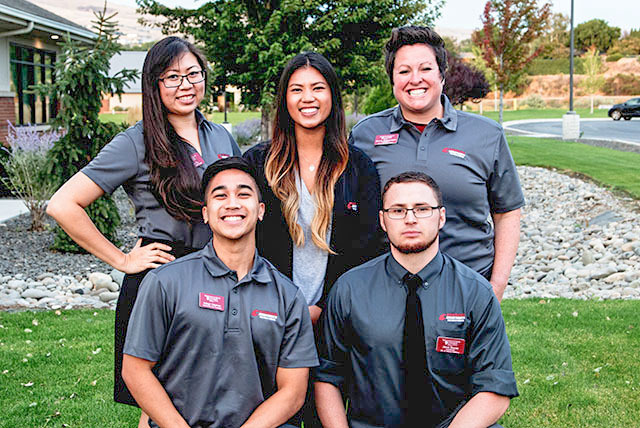 The Associated Students of Washington State University Health Sciences (ASWSUHS) is the representative body of undergraduate, graduate and professional students at Washington State University Health Sciences Spokane. ASWSUHS initiates and coordinates student activities, represents student interests and needs and welfare, as well as acting as a liaison between students and university faculty, staff and administration. ASWSUHS is passionate about servant leadership; we are here to serve YOU! (Pictured at left are the executive officers for the 2017-18 school year). The executive power of ASWSUHS shall be vested in the executive branch of ASWSUHS. The executive branch shall be the ASWSUHS President and Vice President and cabinet officers that the President and Vice President appoint. The legislative power of ASWSUHS shall be vested in the ASWSUHS Senate, which shall be a representative structure comprised of students on behalf of each academic program. Committees are a great way for students to get involved on campus. Check out the webpage for a complete listing.